Marketing has always been a challenge. Businesses are never certain how much of their resources should be invested in branding campaigns. After all, most people try to minimize the number of ads they encounter, fast-forwarding through ad content on television or blocking it online. Nevertheless, your business cannot succeed if consumers do not know it exists. 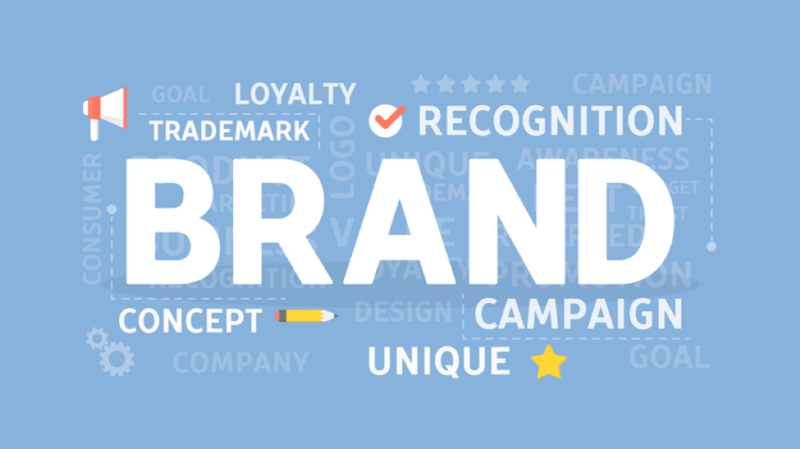 Here are seven ideas for getting your brand recognized. Guerilla marketing is a marketing strategy to surprise people with your brand, putting it in places and situations where it is least expected. The essence of guerilla marketing is using low cost, temporary advertising. A simple example is using washable chalk on a sidewalk to create a temporary billboard. Other examples include decorating the statues in a local park in hats with your logo and brand-based performance art. It is important to remember that guerilla marketing efforts are temporary and must do no damage. Many businesses are learning to use Facebook recommendations to create brand awareness. By harnessing the power of social media, you can create local recognition for your business. One strategy for gaining recommendations is by making recommendations for businesses in your area in other categories. This often leads to mutual recommendations, promoting both profiles. It is also important to encourage your customers to give you a recommendation, perhaps working it into the conversation at the point of sale. You can use Facebook recommendations to create brand awareness locally and work on expanding from there. One way to increase your brand’s recognition is to develop online content that has value. If you have a blog that provides relevant, knowledgeable content on a subject related to your field, you will increase traffic to your business site. For example, a local bakery might develop a blog that shares expert baking tips or information about different cultural styles of baking. Users will associate this good information with your brand, putting you at the top of list when they are looking for services. Having a good reputation in your community can take you far in brand development. When you are a sponsor of a youth soccer team or little league baseball team, the community will feel good about your brand. You also might sponsor local arts events or block parties. These events may not relate directly to your business, but they develop your local reputation. This is not about getting customers in the short term but developing community relationships over the long term. You are trying to create an atmosphere where, when someone needs your products or services, he or she automatically thinks of your brand. Another avenue that develops your brand’s reputation is being associated with charitable work. There are several ways that this can be done. Some businesses opt for pure sponsorship. Even though they may not be in a business that revolves around food, they will sponsor local food banks or act as a collection site for a food drive. Other businesses are able to connect their business to the charity work. A restaurant might volunteer to host a free community meal, or a plant nursery might volunteer to take part in beautification efforts. Again, this kind of work associates your brand with being a positive force in the local community. If you are a small business, one way to share your brand is by partnering with a larger, familiar brand. The idea here is that positive feelings about the larger brand will rub off on the smaller brand. A common example of this can be found in businesses like plumbers, electricians and heating professionals. Frequently, heating system specialists will announce that they only carry products or have special training from a larger brand such as Carrier or Lennox. If those brands are perceived as trustworthy, the installer will seem wise for choosing to work with them. A well-constructed newsletter sent by an email service is not only a good way to stay in contact with your customers, it is also a way to expand your brand. Again, the key here is to have quality information and not just information about sales or special offers. You want to give the people who have already chosen your brand the opportunity to spread it. If there is interesting information or a well-written article, they are more likely to forward it to the people they know with a similar interest. You want your brand to be associated with value, so people are more likely to choose it in the future. Marketing your brand is an intentional process, and something that you must work on regularly. Even if your product or service is the best on the market, it can be lost in the background if other competitors are better at promoting their brands. With effort and community engagement, you can improve your reputation and get your brand out there. The impact of physical advertisements can’t be overstated, that’s why CG Design is there for all your design and printing needs. Whether it’s brochures, business cards, postcards, flyers, letterheads, envelopes, and more, we’re here to help. Not only that, but we also offer digital services like logo design, and website design! Get our blog and special promo offers.